My life’s work really started after the birth of my first child in 2004. The experience was so transformational and empowering that I wanted other women to experience this type of birthing. I knew in my core that there was a different way to approach birth, a better way than what my culture currently accepted. I was on a mission to find out what that other way was. I read tons of books, took classes, talked to people about their experiences, visited hospitals, birthing centers, interviewed midwives, and pretty much devoured anything that came my way regarding birth. In the beginning of the pregnancy I thought I would do like most others and give birth in the hospital with my OB. In the end I chose a home birth with midwives. My experience was extremely powerful not just because I gave birth with no drugs at home, but because I challenged the norm, engaged in the process, took responsibility and fully experienced my birth, and yes it was the most challenging thing I’ve ever done! It was empowering though and on more than one level. Now I know there is nothing I can not do in life. That is what I want for every woman! Not to say that my birthing choices are right for everyone but engaging in a process that empowers a woman/couple to choose what is right for them based on knowledge, intuition, love not fear, and assuming responsibility is what is empowering. The actual choices will vary from couple to couple and that is fine, it’s the process that can influence the outcome and the sense of empowerment that is inherently ours in the birthing time. So it was through my birth experience that I chose to focus my coaching background on working with pregnant women in consciously choosing and becoming empowered through their birth experiences and as mamas, I then became a Childbirth Educator and for the practical experience became a Birth Doula. After the birth of my son I added coaching moms and leading Personal Renewal Groups for moms to my offerings, www.themamacoach.com. I am happy to say I now have 2 children, Jadyn Rose, 9 and Destan Gianni, 5. Our children were both born at home with the care of loving midwives and family. We live in Seal Beach, CA and are enjoying our lives and the freedom we have to work with and support other families. Justine was trained as a Co-Active Coach by the Coaches Training Institute (CTI), www.thecoaches.com She created the Empowered Birth Method™ and Empowered Birth Coaching™. Justine teaches the introduction to Maternity Coaching program through the International Maternity Institute (IMI) www.maternityinstitute.com. She is a Certified Brand Strategist and a Licensed Relationship Coach for Singles, by the Relationship Coaching Institute (RCI), www.relationshipcoachinginstitute.com. Justine holds a BA in Psychology & Social Behavior from the University of California , Irvine (UCI). She was trained and certified as a teacher of The Bradley Method® of Childbirth and is currently an Independent Educator. Justine has taken a Birthing From Within mentor workshop, www.birthingfromwithin.com. Justine is a Certified Birth Doula through Doulas of North America (DONA), www.dona.org. She completed a Doula Internship at South Coast Midwifery and Women’s Healthcare in Irvine, www.southcoastmidwifery.com. 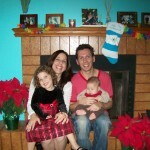 Justine is a Personal Renewal Group Facilitator with Renee Trudeau & Associates, www.reneetrudeau.com. She is also a Certified Feminine Success Leader through www.MarshEngle.com. Justine continually takes courses and trainings to update and add to her skills. Justine is a dynamic coach and educator who works with individuals and groups. She is passionate about affecting change and helping people step into their true power. Her compassion, integrity and ability to connect with others, are what make Justine particularly effective as a coach and educator. You can expect an approach that is direct, challenging and encouraging from Justine. She will unleash your passion thereby bringing you fully alive! It is from that place that you can accomplish anything! !